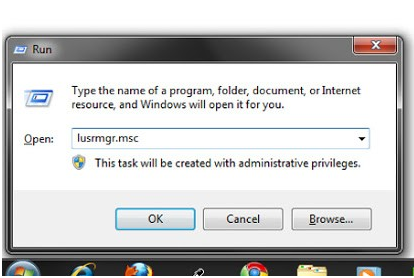 Some hackers hack your PC password without using any software or any tools. Hackers should be directly change on admin password using on commend mode. Follow this below steps know as simple hack tricks. First Open run command using shortcut key on (Windows+R) on that type this command lusrmgr.msc and press ok button. After to change the new password and give this confirmation click ok button. done to change the password .